Lexengine: Accountability and Independence of Judiciary: Impact of Judicial Appointment Commission Bill, 2014 on these two aspects. Accountability and Independence of Judiciary: Impact of Judicial Appointment Commission Bill, 2014 on these two aspects. Accountability and Independence are considered two sides of the same coin. If one is present the other has to be there to ensure a balanced framework for smooth and effective functioning of the Indian Judiciary. But the basic issue relating to concoction of the two aspects seems really a tough job for the policy makers on one hand and legal experts on the other hand. The debates on setting up of a Judicial Appointment Commission through Judicial Appointment Commission (JAC) Bill, 2013 have got a lot of media coverage but what still remains unsettled are the questions raised on its constitutionality and to what extent can this step by the government would go on to achieve the objectives it has been formulated for. Separation of power is said to be one of the most fundamental features of constitutional setup in our country. The fountain-head of the power is the Constitution itself. The basic reason behind this doctrine was to ensure non - interference of other bodies of the government in the Judicial process. Now it becomes imperative on our part to raise this question that whether the appointment of Judges should also be kept out of the purview of the government control while conforming to the basic principle behind the doctrine of Separation of Power? Can it be considered feasible for India to allow the decision making body to have absolute powers in appointment of Judges? This is something which can be answered in both affirmative and negative. If it is in affirmative i.e if judiciary is allowed to have absolute powers without government interference then although it would result in providing independence to the Judiciary but at the same time that would lead to monopoly and nepotism and this is one of the major effects which the experts think have been resulted by the collegium system. And if it is answered in negative, there would be a lot of government interference without Judiciary having an upper hand in its own affairs. The requirement of checks and balances and accountability of the judiciary would be met but it would not allow effective functioning of the Judicial System. Therefore the call for the day is to strike a balance between the two aspects and to come up with such parameters that seek for reforms in the appointment process. 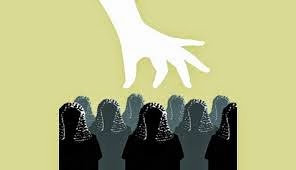 The existing Collegium system has been condemned by the various experts on the grounds that it is wholly and largely dependent on the decision taken by CJI and four senior most Judges of the Supreme Court while appointing judges to the Supreme Court. In the case of appointment of judges to the High Court, again the collegiums system constitutes members only from the judiciary i.e CJI and 2 senior-most judges of the Supreme Court. This has put the process of appointment of judges in the arena of doubt and dilemma thereby rendering it ineffective and unjust. But the debate does not end here for the basic reason that the Bill, 2013 proposed for setting up of Judicial Appointment Commission is equally criticized by the legal experts and eminent jurists stating that the new proposed collegium constituting 2 eminent persons selected by the Prime Minister, the CJI and the Leader of Opposition would again not serve the purpose as desired so. Thus, to strike a balance between the two requirements, the model must be judiciously adopted that it not only encompasses members of the Judiciary and the government but also people from non legal background and also other stakeholders so that diversified forum is formed to appoint the Judges. Also, instead of limiting the number of members of the commission to just 5, the number should be increased to more than double of what is otherwise proposed in the new bill so that the appointment is done by a larger group which to a great extent diminish the possibility of arbitrariness and biased approach on the part of the commission. The government should take this as an opportunity to make Judiciary as transparent as it can by keeping a close check on the initial process i.e the decision of who would be the upcoming set of Judges. Although prima facie it looks not more than a mere administrative function, yet the consequences and the reach it would lead to would to a great extent determine the future of a large number of people who always seek to get justice. It is the duty of the Parliamentarians to secure and safeguard the independent nature of Judiciary and this can be done by providing a proper model for the appointment of the Judges and not by directly interfering and taking away the powers in the pretext of formulating a commission. It should not be made a sham process which is what the bill of 2013 is leading to. Article about working of GTO. Assam-Nagaland border row: facts and efforts.